Very bright visual pass of the ISS tonight in SoCal. Do Not Miss Out! 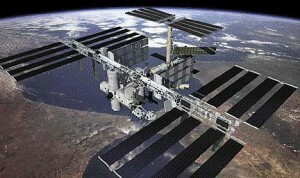 The International Space Station will be making a great visible overflight of Southern California tonight. Tonight will be a spectacular “fly-over” as it will be almost as bright as is possible (the brightness is determined by how the space station – and particularly their football-pitch sized solar panels – happen to be aligned with the sun). For those of you who may be new to viewing it the ISS will be visible as one of the brightest (mostly the brightest) star-like object in the sky as it passes approx 260 miles overhead at over 17000 mph. It will start low in the NW at 6:54pm where it will start getting higher (and brighter) as it crosses the sky towards the SE. At almost exactly 7:00pm it will be at it’s highest above. Animated GIF showing the Moons shadow crossing the earth during the partial solar eclipse on Oct 23rd 2014. I love this animated GIF produced by NASA. It really makes it clear to me how the shadow of the moon falls across the earth during the eclipse. When the moon begins it’s partial eclipse of the sun tomorrow do not look directly at the sun even for a split second – even with sun-glasses. One safe way to look at the sun is if you have special eclipse glasses like these. 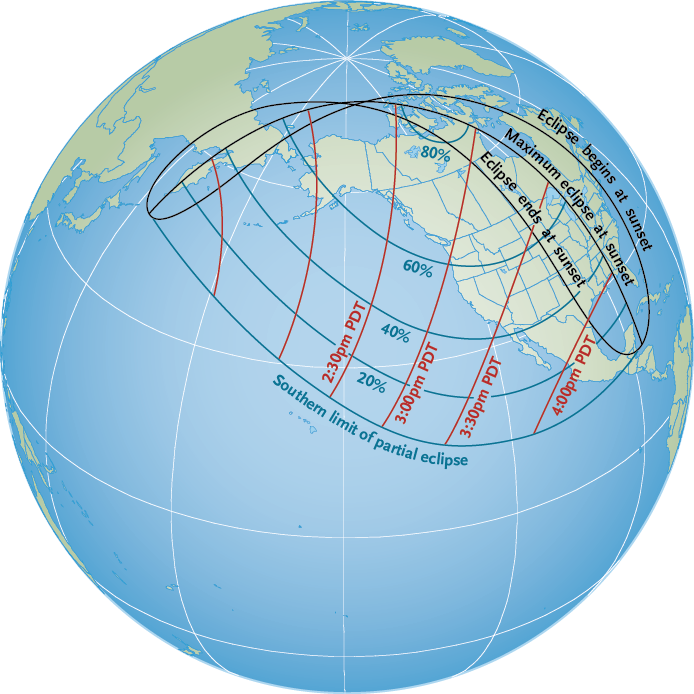 Ready for the partial solar eclipse on Thursday? A real treat for all of us North America. 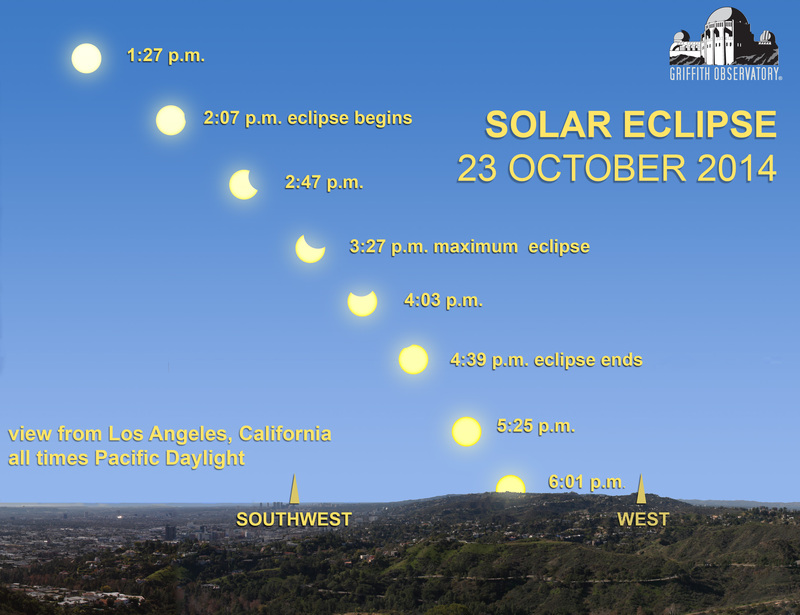 For those of us in SoCal we’ll get the maximum eclipse of 43% at about 3:32pm. Now – where did I put those Eclipse glasses?